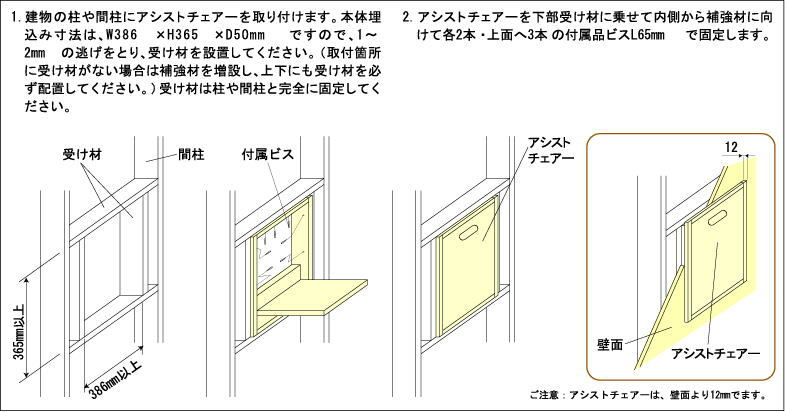 ●The frame is a casing trim for easy installation and neat finishing. 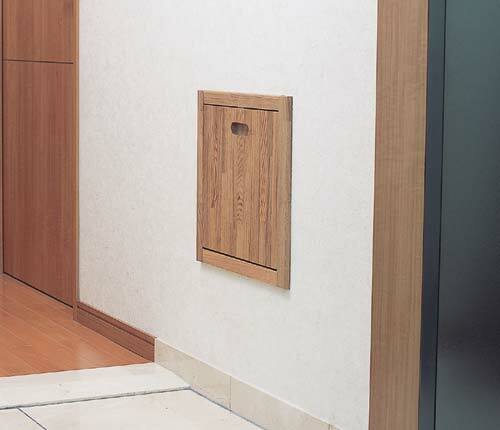 ●The folding built-in design and saves space. 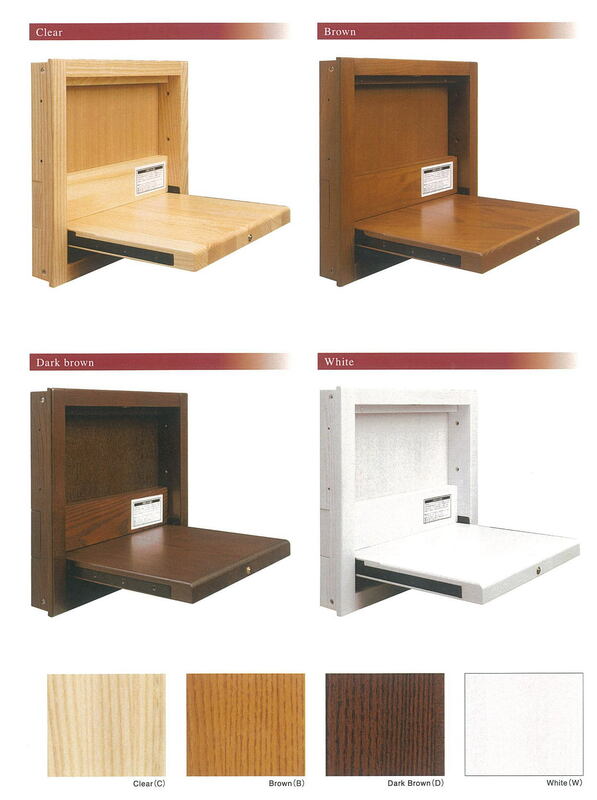 ●This product has a pleasant touch, a softness, warmth of natural wood (white ash laminated lumber). ●In total we have 4 types (bright, brown, dark brown and white) to choose from. ●The seat folds out without legs. ●Load bearing limit is 100kgf. This product passed a durability test in which it was opened and closed over 20,000 times. 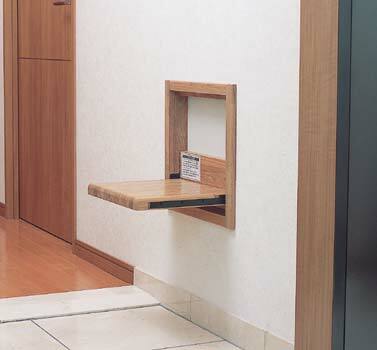 This product is a thin, folding seat built-in to the side of the entrance. It is made from natural wood that expresses warmth and has a pleasant touch. This seat is used at the entrance for when children or the elderly wear shoes, or for women wearing tall boots.